A great value thermal mug available in a choice of three great colours. 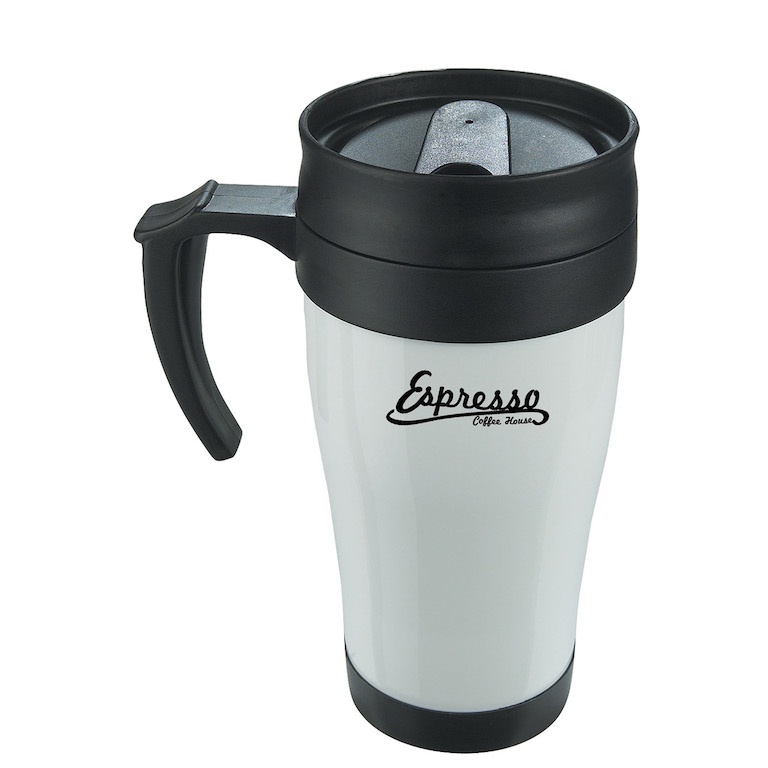 The mug is designed to keep drinks warm for long periods and has a secure-fastened lid for use when out and about. Offers a fantastic branding area for your logo. 430ml capacity.